Alibaba, the Chinese ecommerce giant, is all set to go public on the United States Stock Exchange. The electronic retailer is estimated to sell more than the sales volume of Amazon.com, Inc. (NASDAQ:AMZN) and eBay Inc (NASDAQ:EBAY) put together and its IPO frenzy was expected to be similar to that exhibited when Facebook Inc (NASDAQ:FB) went public. News of Alibaba’s stock offer in the range of $60 to $66 last week proved beneficial to its stakeholder Yahoo! 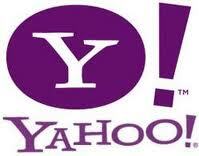 Inc. (NASDAQ:YHOO) with the latter’s shares rising by about 5% to $41.50 on Monday. But the demand for the company, which was anticipated to raise over $21 billion in its IPO debut, has been quite lackluster. The Motley Fool Chief Executive Officer, Dr. David Kuo, discussed the mediocre interest in the company’s IPO on CNBC’s Squawk Box. Alibaba had 36.7 million registered users on last count and revenue of $2.54 billion for the second quarter of the financial year 2014. The California based web giant Yahoo! Inc. (NASDAQ:YHOO) holds a stake of 24 % which translates to around 524 million shares. Kuo felt that the most important reason for retail investors to consider the Alibaba IPO was that they will be getting access into the markets of the second largest economy in the world. “[…] This is the most important, you are buying into the Chinese consumers […] so you are getting some access to Chinese consumers,” he said. For example, Yahoo’s interest in Alibaba allows the American investors of the search giant to get a taste of the Chinese markets. There are previous instances of other Asia-based businesses, such as Baidu Inc (ADR) (NASDAQ:BIDU), being successfully listed in the American Stock Exchange. But for all the hype surrounding the company, the demand for Alibaba’s IPO is not as high as predicted. Kuo opined that this might be because not many retail investors are familiar with the name Alibaba. He also went on to suggest that the company’s target audience may not be retail investors at all but institutional investors. “[…] Maybe the whole point is that they are not really targeting the retail investors, but probably the institutional investors and they are probably looking for a few people who can spend a lot of money buying the shares […],” he said.